www.simplyasep.com Visiting to Island of GOD , Bali , such a wonderful thing, and I have found many wonderful and exciting experiences during visiting to the island since the beginning of 2005 and by the end of December 2011. 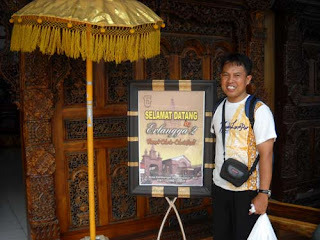 I visited the island about 10 times ever since, and my latest programs in Bali has successfully done by December 2010 with the other six Kang Guru Indonesia Champions all across Indonesia. If you have not been landing in Bali, one of the most famous islands from Indonesia, I think you must plan to make some visit to the island right now due to its wonderful cultural, natural wonders, food , and also the people as well. 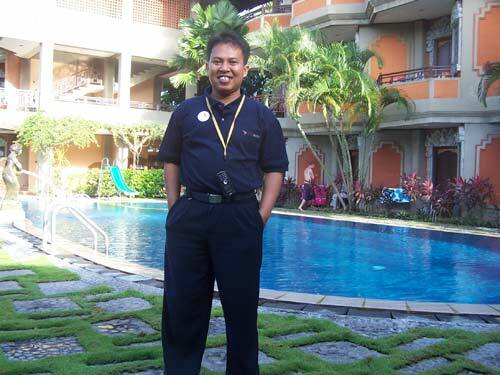 There are hundreds of optional programs when you are staying in Bali for your pleasure or business as well. What are you going to in the island of GOD?. I still remember my very first time visit to Bali 12th to 14th of July, 2007, and together with the other six wonderful champions of Kang Guru Indonesia coming from all across Indonesia. We are staying in Bali Summer Hotel located in jalan Pantai Kuta 38, Kuta , Bali. We had some discussions and meeting with Kang Guru Indonesia about the magazine and radio programs. The hotel is quite comfortable, and wonderful atmosphere with well design hotel with combination between Balinese and Modern. We love staying in the hotel for only several days, and we have some little activities outside of the hotel and out of our busy times during in Bali which especially about discussing and meeting with IALF and Kang Guru Staff which can be very boring for some of you. A few months later, we have had some wonderful visits to Bali for several times, and stayed in many hotels all across Kuta, and around Denpasar, and some other location around Sanur. Some of the hotels we have lived in during in Bali such as Legian Paradiso Hotel , Adi Dharma Cottage Legian, Puri Ayu Denpasar , Puri Dalem Hotel, Sanur , Fave Hotek , Ratna Beach Sanur , Puri Kelapa Garden Sanur, Segara Agung Hotel Sanur and the last one was in Pop Harris , Kuta. Check your travel agents in Bali or searching for the internet to get the latest information about cultural events and tourist attractions that happening in Bali unless you will never know what is going on there. As part of MICE (Meeting, Incentive, Conference, and Exibition) packages , I and the other Kang Guru Indonesia Champions would love to see other parts of Bali in addition to our busy times with IALF . For example, Kuta Carnival Parade held in Kuta in 2007, and however it happened long time ago, I still remember how happy we were at that time, taking some wonderful photos with our smallest and simple digital camera with myself. I and the other six Champions went to the street and found many wonderful cultural parades with exciting clothes of traditional Balinese dresses. 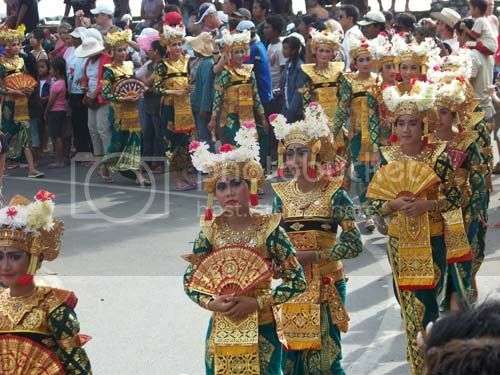 KUTA PARADE. I took this photo when I was looking for local street parade in 2007. If you have spares time left after looking after the local street festival, please make the most of your time looking at Kuta beach. Wow Kuta Beach? 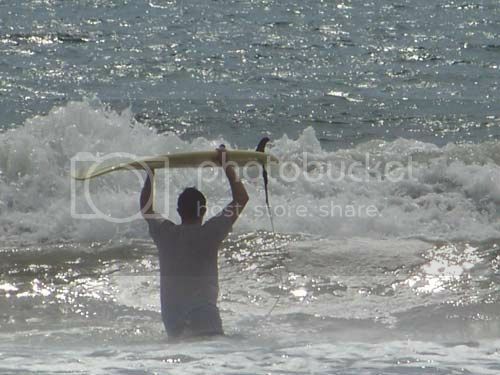 Every thing you need to know about the Kuta beach can be found with your own experiences. Just prepare your self to see many bikinis from local people and of course some from tourist from abroad. The bikini's party on the Kuta beach are quite thing that usually in common when you are in the beach. Some of the local tourists are in those bikini's and I did not notice of their action, while the people from abroad did the same way. I just enjoying the beach and the wind blowsing in my hairs. I confess I have had some their bikini's photos, but I am not able to put them on this website. Sorry. This is quite important things to notice. This is Bali, and as Moslems , I and the other Kang Guru Indonesia Champions should be more careful in selecting any kind of food to be eaten during in Bali and other places around the island. As Moslem, we are not allowed to eat Pork, and those kind of food are frequently found almost all areas around in Bali. If you are in groups when traveling to Bali , perhaps you can follow all instructions from your tourist guide to find some food out side of the hotel you are staying in. You could have bought the food available on the restaurants or food outlet in the hotel you are staying. Unfortunately, I hardly buy the food inside the hotel or from any hotel's restaurant which for me can be very expensive. 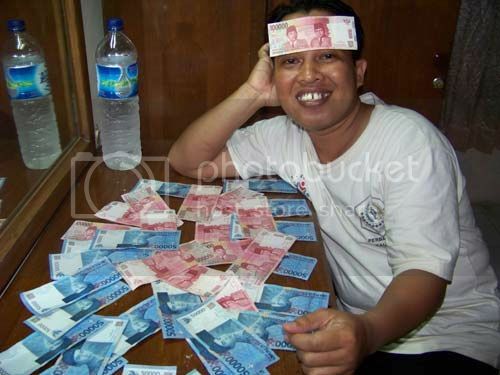 Just imagine the prices, a plate of Nasi Goreng (fried rice) you buy with more than Rp.20.000,- or twenty thousand rupiahs or equal to $ 2 USD and that is quite expensive with budget local tourist like me and the other Kang Guru Indonesia Champions. You could have bought the nasi goreng out side the hotel which very cheap and affordable price. The normal price of that Nasi Goreng around Ten Thousand rupiahs. Just like we did , we hardly eat suffer for "ngemil" around the hotel and perhaps you could search the street around the hotel to find the Nasi Goreng , and we enjoyed very much. Just try to find HALAL food, because of we are Moslems, and find their characteristic with Islamic signs in front of the restaurant. Most of local Balinese food can be unknown from all of us and that is why we always looking for Moslem's food. 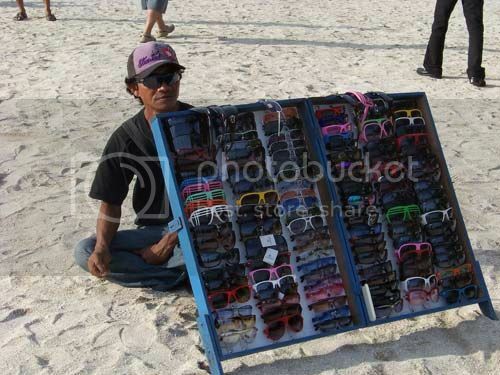 Ahaak, do you like shopping like me? Every one in this world would love to go shopping, and the activity of shopping might be excellent and wonderful programs in our team of Kang Guru Indonesia champions anytime we have a chance to visit Bali. We always try to find spare times outside of those busy meetings with IALF staff by looking for some merchandises of Bali which can be found every where. There are three awesome places for people to go shopping in Bali such as Erlangga One and Two, and Khrisna. You can find more information about those shopping center by using Google, and you can find hundreds of information about those shopping areas. 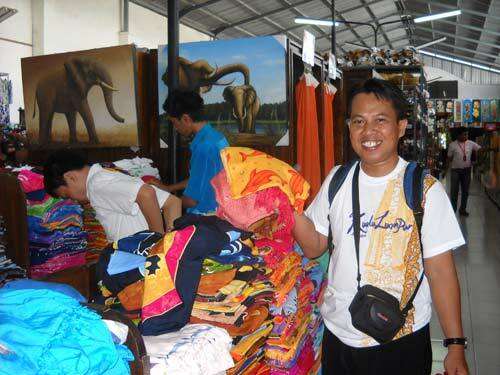 One of the most famous merchandise spots in Bali can be found in Joger. I have searched the whole Joger, and found nothing special. For those which never been in the Joger can be very impressive, but not for me and the other Champions. 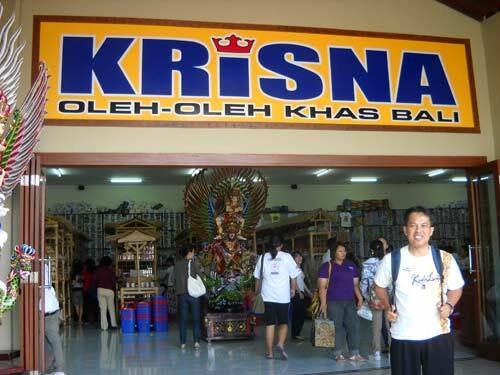 We visited many times in the Joger, and it is a good idea for all of use to find more alternative Balinese merchandises from other merchandise places such as Erlangga I, Erlangga II and also the Khrisna as well. I found many cheapest things at Erlangga, and Khrisna. How about Sukowati Market? Wow I never been in that place. 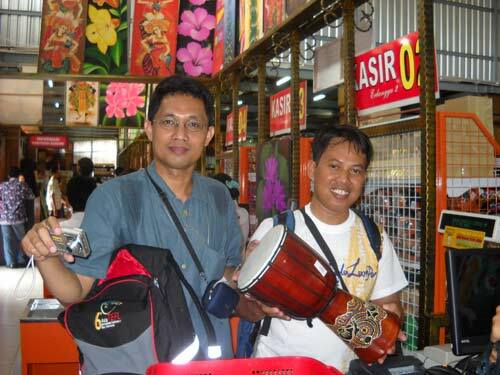 The Erlangga is very famous for wonderful and exciting stuffs for local and international visitors to find some Balinese merchandises with affordable prices. The Erlangga itself located in Jalan Nusa Kambangan, Denpasatr. They have had two Erlangga, One and Two as well. The Erlangga with neighbor Krisna Bali can be found very easily. Take by local Taxi, I suggest using BlueBird Group, to take you to those places. 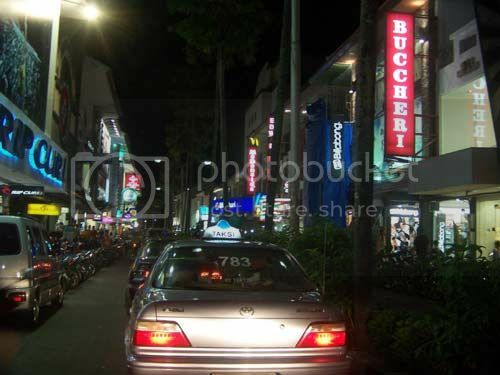 If your hotel location is around Kuta Beach, then you just simply take any cabs from the BlueBird group to help you find those places. You can even enjoy the night life during in Kuta , Sanur or around Denpasar with your cabs if you are afraid of bad people around you. Enjoying the night life by riding can be fun too. As conclusion of this posting, I would like to remind you once again some practical tips when you decide to visit Bali, the Island of God. Just remember about the budget and time you may have. Some people would love to go with groups and some other don't. 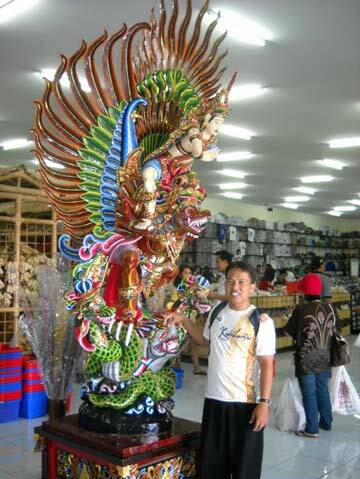 It really does not matter if you have planned to visit Bali with better preparation.